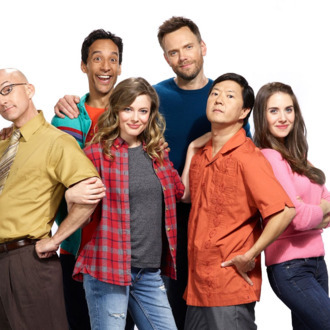 At the TCA press tour today, Yahoo announced the premiere date for its new, resurrected Community: March 17, when the show’s sixth season will kick off with two new episodes. A new installment will arrive every Tuesday after that. The show’s cast — including new arrival Paget Brewster — celebrated the news in a very charming promo that owes more than a little to Fight Club (it’s the first pop-culture reference of the new season!). Now all Community fans need is a premiere date for that movie to be completely satisfied in life.